"Could not be more pleased with the professionalism and skill of Dr. Blessinger." "Dr. Blessinger is a brilliant spine surgeon. He's up to date...He's definitely my hero." "Dr. Woebkenberg is personable, confident and technically capable physician with great..."
"Great Job! We are very lucky to have a spinal surgeon of Brian's caliber in our area." "Great doctor! Would recommend Dr. Woebkenberg to anyone needing orthopedic care." "Dr. Woebkenberg was absolutely phenomenal! I would refer him and his staff to anyone..."
"I think Dr. Norris a great doctor and have recommended him to family and friends." "Dr. Norris is the best doctor I have ever met. Good guy who cares! His staff are A++." Quality patient care is our passion. Everything we do revolves around our desire to provide the best possible care to our patients. Our state-of-the-art facility combined with our experienced staff allows us to be the premier provider of orthopaedic care in southern Indiana. Our practice has had the privilege of serving patients in southern Indiana since 1984. Our goal today is the same as it was then: provide the best possible orthopaedic care available. Injuries rarely happen at a convenient time, so we offer walk-in evaluations of acute orthopaedic problems without an appointment. Our practice participates with the following insurance companies. If you have any questions, please call our office! With a team of orthopedic specialists, patients can get comprehensive care, surgical repair, and digital imaging all under one roof at Norris, Blessinger & Woebkenberg Orthopaedics & Spine. The clinic is conveniently located in the heart of Jasper, Indiana, near West View Estates, Skyline, and Mill Creek. Under the direction of Randall Norris, MD; Brian Blessinger, MD; and Brian Woebkenberg, MD, the team offers the most advanced treatments available. 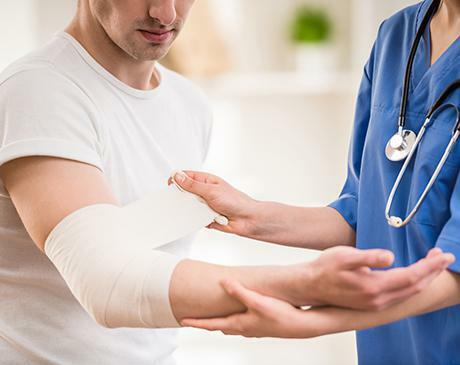 Not only do patients turn to the team for care of sports injuries, practitioners also help with worker’s compensation issues. While the team most commonly treats rotator cuff injuries, ligament tears, and cartilage injuries, they also specialize in total joint replacements. Between minimally invasive surgery for soft tissue repairs and bone fractures, as well as innovative solutions for back injuries, patients can expect to get relief from pain. Quality patient care is the essential component to the team’s services. Everything they do revolves around their desire to provide the best possible care for patients. By combining their state-of-the-art facility and highly experienced staff, patients can expect to receive premier orthopedic care. New patients are always welcome at Norris, Blessinger & Woebkenberg Orthopaedics & Spine. "I have been a patient of Dr. Norris' for several surgeries and have been very satisfied with the results. He is both caring and professional." "Love Dr. Blessinger. He got me back to a hundred percent and he listened and treated me like a person. 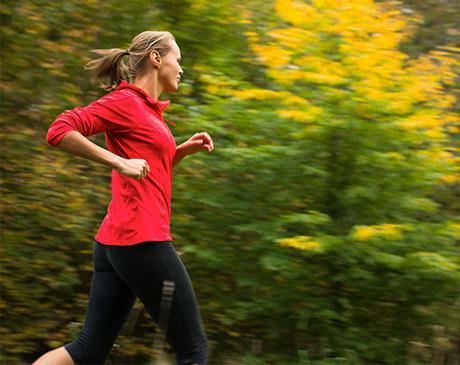 I would go back to him without question for any orthopedic needs." "Dr. Blessinger is an awesome physician. He has sincere compassion for each of his patients and always takes the time to explain the care plan with the patient and..."
"I have been a patient of Dr. Norris' for several years. He’s very concerned with making his patients happy and keeping them pain free. He spends time with you and..."
"Dr. Woebkenberg is hands down the most knowledgeable and caring surgeon there is. He replaced both of my PCL's and I couldn't imagine going anywhere else." "Dr. Woebkenbeg is amazing. I just had my PCL replaced and I am extremely pleased. From the front office staff all the way to check out is an easy and pleasurable..."
"I have fractured 3 ankles and a fibula. Dr. Norris has been my doctor through them all. Thanks Dr. Norris!" "I'm a 77 year old male and was able to go back to work in 4 weeks. Prior to surgery I was in severe pain for weeks. Now I have no pain at all, thanks to Dr. Blessinger."